For those living in the low slung islands of the Seychelles the realities of climate change strike perilously close to home. Roughly 80% of the population and economic activity is located in coastal areas, while the main airport and fishing port are both at risk to even a small rise in ocean levels. It’s an issue that resonates at the highest levels of local government, with the Seychelles taking the dramatic step of naming an Ambassador for Climate Change, Ronald Jumeau, who is based at the United Nations in New York. Unlike other countries, the Seychelles doesn’t have the resources to invest in defenses against the rising tides, so a policy of education and enlightenment was deemed the best path forward. 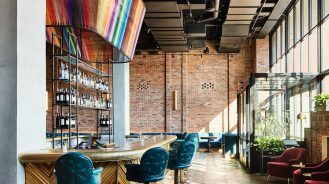 With most in close proximity to the coast, many of the nation’s hotels and resorts are playing a leading role in the charge for sustainability, championing eco-friendly practices and conservation. 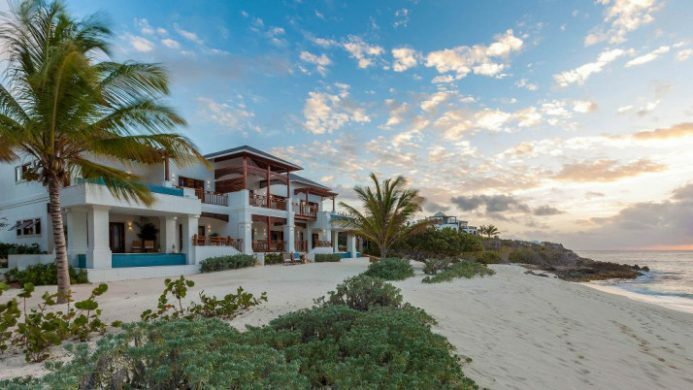 One resort showing remarkable results is Constance Lemuria, where a resident Turtle Manager presides over an innovative preservation program. The beaches of Praslin Island form the basis of an important nesting site for endangered hawksbill and green turtles that instinctively return each year between October and February. 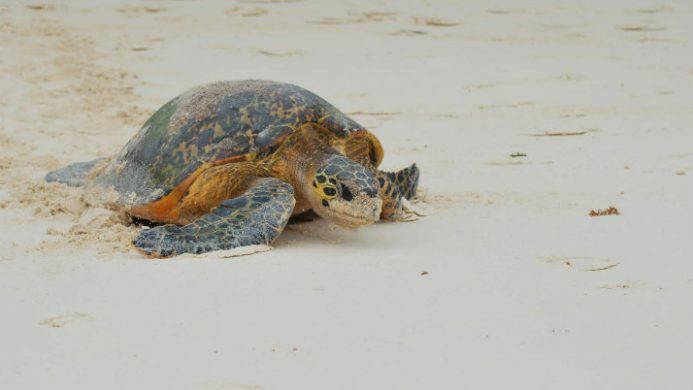 Each female turtle can lay up to a thousand eggs per season, and Lemuria’s Turtle Manager monitors these nests to ensure their safety in cooperation with the Seychelles Marine Conservation Society. Guests at the resort are invited to take part in the ritual, watching the females slowly make their way up the beach to lay, and later watching the baby turtles waddle down to the surf. Over on Florida’s Delray Beach, The Seagate Hotel & Spa has been performing some equally impressive conservation efforts. 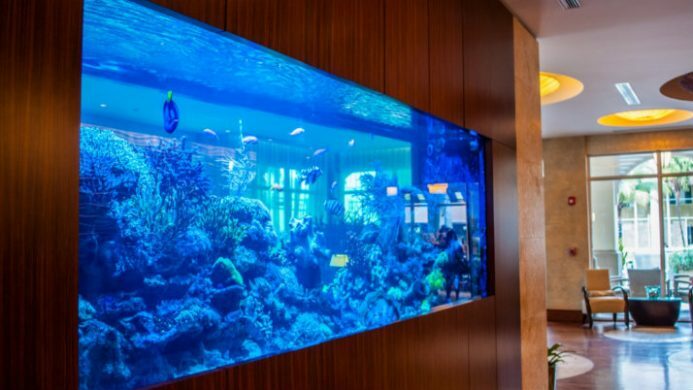 Leadership in Energy and Environmental Design certified, the hotel has pioneered an initiative to rehouse marine life. They celebrate their proximity to the ocean with a beautiful aquatic motif, including five ethical aquariums that weave through the grounds and interior spaces. These eco-systems contain more than 80 species of marine life, including a 1,500-gallon reef aquarium in the main lobby. Once the hotel’s marine life has reached their potential size in the on-site aquariums, they are donated to local nature centers or larger aquariums. Feted by National Geographic as an “earth changing” resort, Laguna Lodge Eco-Resort & Nature Reserve sits nestled within its own nature reserve. 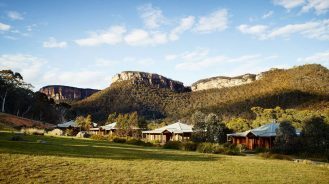 Eco-friendly decisions informed the construction of the lodge, starting with the installation of 180 solar panels for power, solar hot water heating, and even Wi-Fi Internet. Another of Laguna Lodge’s initiatives is to motivate a shift in perception away from traditional eating habits by providing a meat free, plant-based menu. The dining choice at Zotz Restaurant is uniquely effective in reducing greenhouse gas emissions and pollution, while also preserving biodiversity and water. All staff at the hotel are from the local Mayan community in Guatemala, with more than 50% of the roles filled by women. Even before setting foot at Laguna Lodge, guests can play a role by visiting thelagunalodge.com, as it’s hosted on a carbon neutral server. Echoing the conservation efforts in the Seychelles, Anguilla is another island nation where eco-matters take high importance in government. Since 1995 a moratorium on the catching of turtles and their eggs has been in place, while further legislation limits over development along the coast. 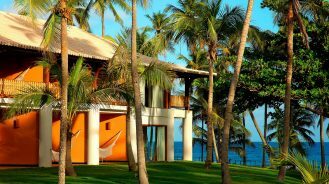 This ensures only boutique resorts with an eco-friendly focus are built, with Zemi Beach House Resort & Spa an impressive addition to the coast. 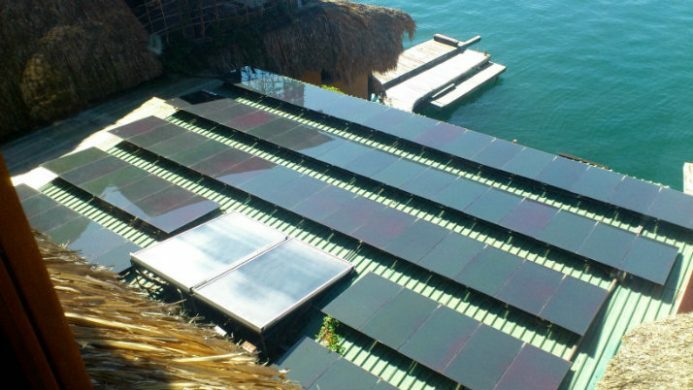 Zemi Beach artfully leverages technology to create systems aimed at reducing the resort’s carbon footprint. Air conditioning is built on a smart tech system that adjusts the room temperature accordingly when it senses a door or window has been left open. Motion and heat sensors are also deployed to reduce ventilation settings when rooms are unoccupied. With water often at a premium, the resort’s roofing system is designed to collect rainwater for reuse in irrigating the gardens. Each year, Hawaii’s Green Business Awards salute the efforts of local businesses in promoting eco-friendly initiatives. 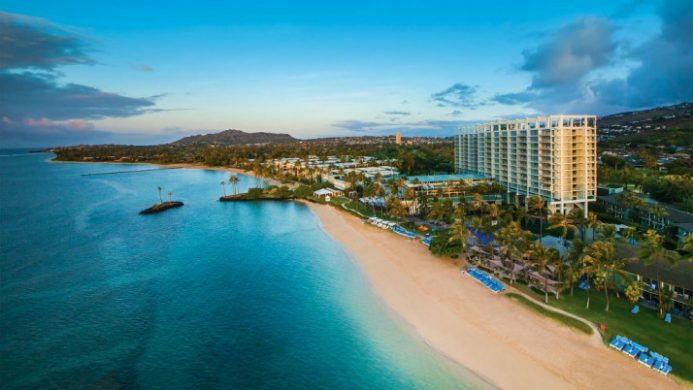 Kahala Resort & Spa was recognized by the state in 2015 for its emphasis on conserving natural resources, minimizing waste, and raising environmental awareness among employees, guests, and the local community. “It is our belief that we must do everything we can to serve as good stewards of our environment to move toward a sustainable future,” said Carmine Iommazzo, General Manager. 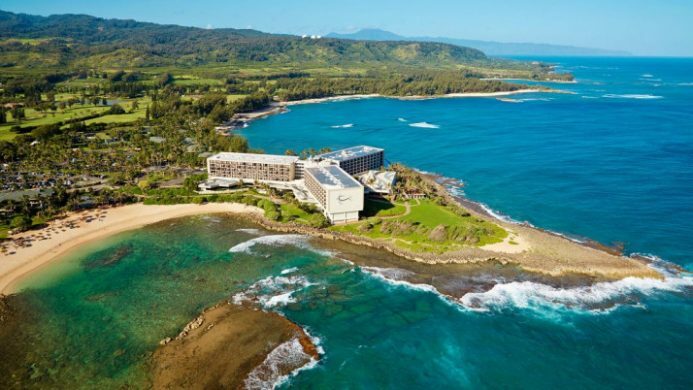 In December 2013, Turtle Bay became the first Oahu resort with a solar roof installation, and the resulting energy produced each year is equivalent to planting 350 acres of forest, or a reduction of 1,000 barrels of oil annually. Nearly 70% of the resort’s lighting has been converted to energy saving bulbs, while bulk leftover meals from banquet functions are donated to charities on the North Shore. Costa Rica’s position on the equator brings with it staggering biodiversity and delicate rainforest ecosystems, placing it squarely in the crosshairs of climate change. The country’s government has taken a leading role in the global battle, with the aim of becoming totally carbon neutral as soon as possible. An economy-wide plan has been drawn up, with stakeholders in the tourism industry proving particularly receptive of the efforts. 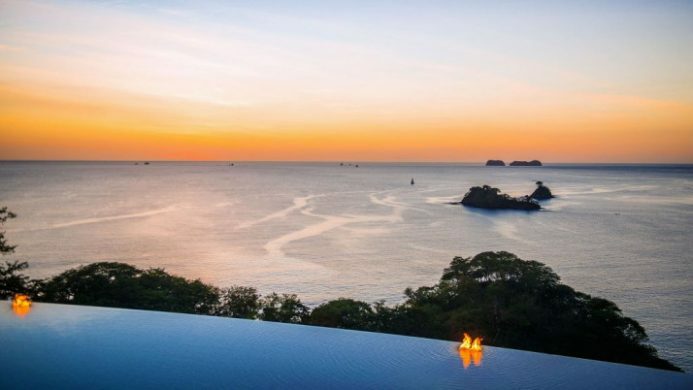 At Casa Chameleon at Las Catalinas, the spectacular flora and fauna of the region is treated with the utmost respect through the resort’s conservation efforts. Each month, staff take to the local beach to clean and remove any waste left behind. Guests are invited to plant a tree to offset the carbon footprint of their visit, while water efficient fixtures are used throughout the hotel’s interiors. Outside, rain water is repurposed to feed the resort’s spectacular gardens. The drought that plagued Southern California in recent years has thankfully abetted, but conservation and sustainability remain a central concern in The Golden State. 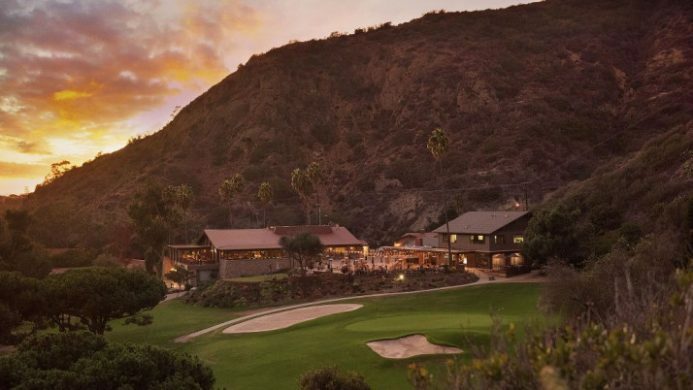 The Ranch at Laguna Beach is located on the site of what was Laguna Beach’s first homestead (1871), and aims to honor this history in an innovative partnership with non-profit The Ecology Center. The resort’s half-acre garden will be managed by The Ecology Center, producing seasonal fruits, vegetables and herbs for use in the signature Harvest Restaurant. More than mere landscaping, an educational program will also be prepared by The Ecology Center for guests, which will involve hands-on experiences in the garden, as well as composting/recycling initiatives. Spring 2017 marks the perfect time to visit the garden, as the first seasonal bounty debuts at Harvest Restaurant.